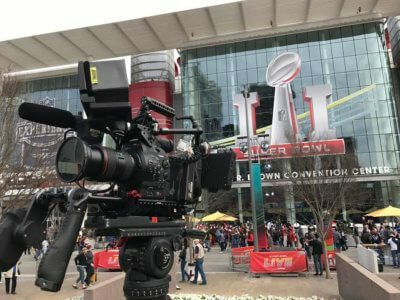 For professional cameramen, the Super Bowl is, well, it’s our Super Bowl. This year I had the pleasure to experience the madness down in Houston courtesy of our friends at Fox Sports 1! 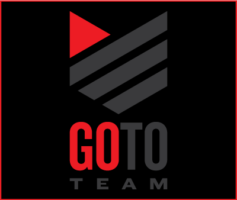 They asked me to grab my gear and fly down to Texas to shoot with their show “Garbage Time with Katie Nolan” an Emmy award-winning sports talk show. My assignment was to shoot all of their ENG content. 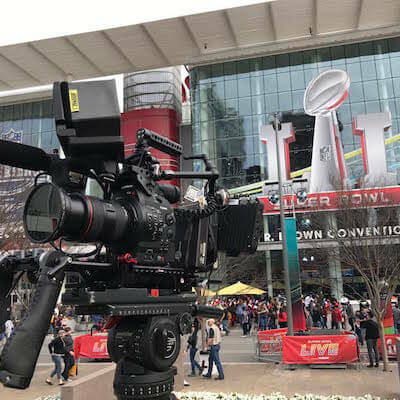 Which included: short “Man on the Street” pieces, player interviews, and B-Roll of the NFL Experience and “Discovery Green” where Fox Sports was broadcasting live all week long. I shot on two twin C300 packages with Odyssey 7Qs and our full range of Canon L-Series glass. The pieces I shot aired, on average, less than 12 hours after our last shot. This meant that we needed to shoot everything in Apple ProRes to save FS1’s editors having to transcode any footage. One feature we shot, which featured Saints QB Drew Brees, aired a mere four hours after the shoot wrapped! The shoot featured a short five-minute interview with Brees and Nolan and then we played a trivia game requiring him to a throw a football at some life size football helmets. You can catch the finished piece that aired on Garbage Time HERE. Our shoots took us all over Houston. 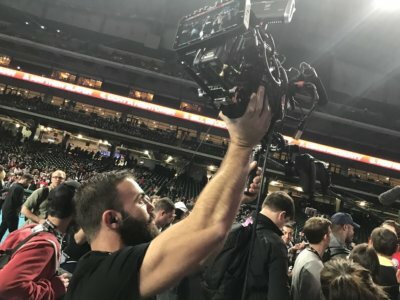 We shot in the real life Mission Control at NASA, we took to the floor to interview players and fans at Opening Night, and we shot all over the NFL Experience and the Fox Sports compound! It was a very action-packed, fast-paced and exciting week. Super Bowl LI was certainly one of the more memorable experiences I’ve had to date, and of course, to top it off, I had the chance to work with one of my favorite clients and one of my favorite shows! Nolan and her entire team are some of the best in the business and a treat to work with! I look forward to more great shoots from now until next year’s Super Bowl and beyond! 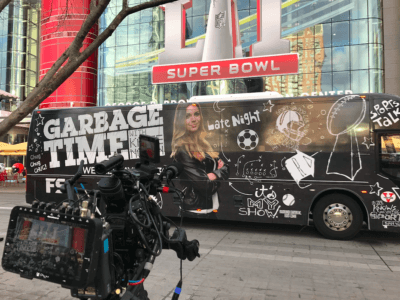 Check out a highlight reel from Super Bowl week with Garbage Time HERE! Also, check out our Super Bowl by the Dozen blog, our Super Bowl Rings blog and our Nick Sports Slimed Super Bowl blog!